People have been claiming recently that finding torrent sites and torrents on popular search engines is a lot more difficult than ever before. It might be the influence from the movie industry, but large search engines have started to kind of censor the search results when it comes to torrents. Despite all the hassle, KickassTorrents remains number one on the list of most popular torrent sites. The entertainment industry has been doing whatever possible to reduce the usage of torrents and file sharing. 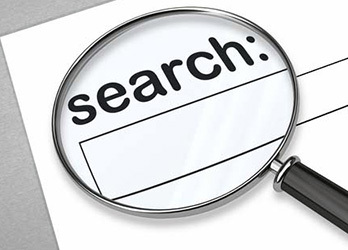 Online search engines are also their targets. Search companies like Google, Bing and Yahoo receive thousands of DMCA takedown notices each day, and someone needs to deal with all these notices. Therefore it was not a surprise when Google rolled out the Pirate Update in autumn last year. The purpose of this update was to automatically reduce torrent files popping up on search results so their staff shouldn’t be dealing with all these copyright requests all the time. Though such action from search engines has certainly cut down on traffic to torrent sites, there are basically the same big names on the list of torrent sites. People who visit torrent sites usually go directly to the resolving domain name, and in case their favorite site has for example changed the domain name recently, they look that up on a search engine. When it comes to most popular torrent sites in 2015, then according to latest information, KickassTorrents remains to hold the first position. Right after comes the Pirate Bay who was struggling with website issues in the beginning of 2015, but managed to come back online in February after being down for a few weeks. If you are a fan of KAT then share the article with friends and let them become one, too!